This article is about the technique. For the movement, see Transcendental Meditation movement. The Transcendental Meditation technique is a specific form of mantra meditation often referred to as Transcendental Meditation. It was introduced in India in 1955 by Maharishi Mahesh Yogi (1914–2008). The meditation practice involves the use of a sound or mantra and is practiced for 15–20 minutes twice per day, while sitting comfortably with closed eyes. Maharishi Mahesh Yogi taught his meditation technique in a series of world tours beginning in 1957. From the late 1960s through the mid 1970s, both the Maharishi and TM received significant public attention in the USA, especially among the student population. During this period, a million people learned the technique, including well-known public figures. Worldwide, as many as six to ten million people are reported to be practitioners of the TM technique. Transcendental Meditation is part of the Maharishi Vedic Approach to Health The theoretical basis developed to underpin the Transcendental Meditation technique is the Science of Creative Intelligence (SCI), which describes the Maharishi's view of Natural Law. Skeptics question whether SCI is actually scientific. According to proponents, practicing the TM technique can lead to higher levels of consciousness and supernormal powers, including the Maharishi Effect. TM has been reported to be one of the most widely practiced, and among the most widely researched meditation techniques. Independently done systematic reviews have not found health benefits for TM beyond relaxation or health education. It is difficult to determine definitive effects of "meditation practices in healthcare" as the quality of research has design limitations and a lack of methodological rigor, due in part to the fact that many studies on TM appear to have been conducted by authors connected to the TM organization and on subjects predisposed positively towards TM. The TM technique is made available worldwide by certified teachers affiliated with the Transcendental Meditation movement, a name given to a collection of organizations introduced and developed by Maharishi Mahesh Yogi. The movement actively markets TM as a scientifically proven technique but not a religion while there are sociologists and governmental bodies that have categorized it as part of a new religious movement. TM is taught in a standardized, seven-step course over a four day period by certified teachers. The fees vary from country to country. In the United States the adult fee is $1,500, while prices in the United Kingdom (UK) are based on income. Transcendental Meditation is a registered trademark of the Maharishi Foundation. 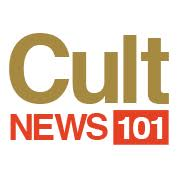 News, links and resources about cults, cultic groups, abusive relationships, movements, religions, political organizations, medical and related topics. Cults101.org: resources about cults, cultic groups, abusive relationships, movements, religions, political organizations and related topics. CultMediation.com: offers resources designed to help thoughtful families and friends understand and respond to the complexity of a loved one’s cult involvement. Intervention101.com: to help families and friends understand and effectively respond to the complexity of a loved one's cult involvement. CultRecovery101.com: assists group members and their families make the sometimes difficult transition from coercion to renewed individual choice.